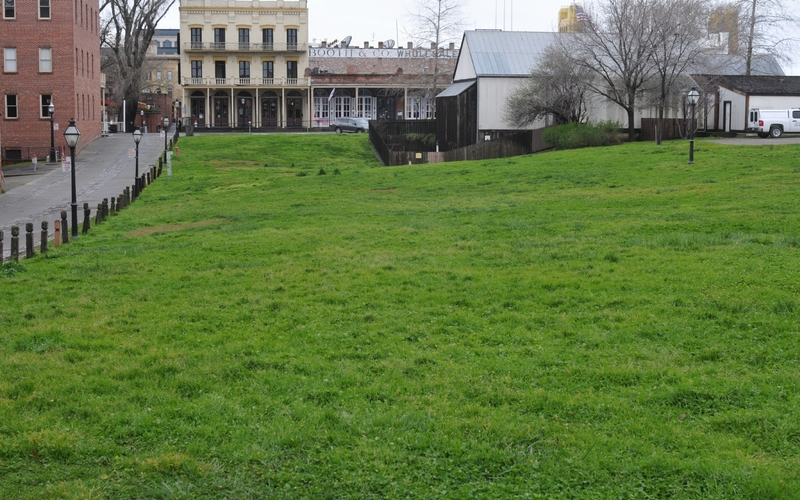 A wide, green, grassy area lay between Front and Firehouse Streets, and between I and J Streets of Old Town Sacramento. 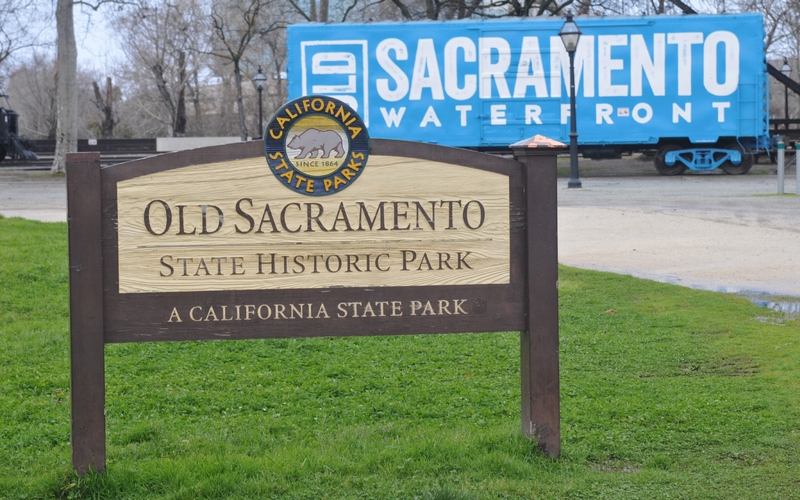 One sign marked the edge of "Old Sacramento State Historic Park." Behind that, a rail car was decorated with a sign that read "Old Sacramento Waterfront." 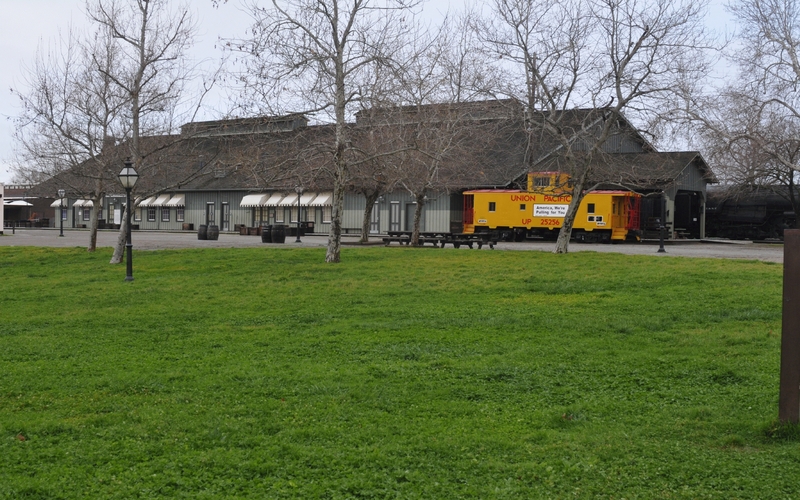 The view across wide grass to an historic rail barn at the west end of the park.